We left Whitehorse on June 7th and headed down Hwy 2, heading for Skagway. We will visit the Skagway area and then take the ferry to Haines. 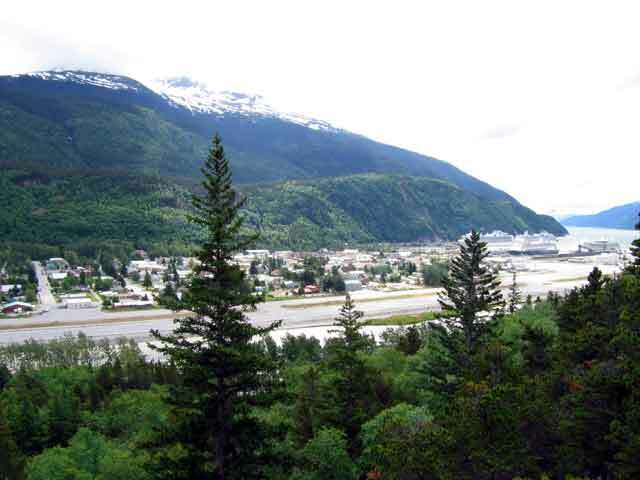 The name "Skagway" is derived from a Tlinget word meaning "end of salt water". But that meaning is disputed and others such as "home of the north wind", "cruel wind" and "rough water" are proposed. As one writer put it, "Skagway is a word of uncertain meaning". 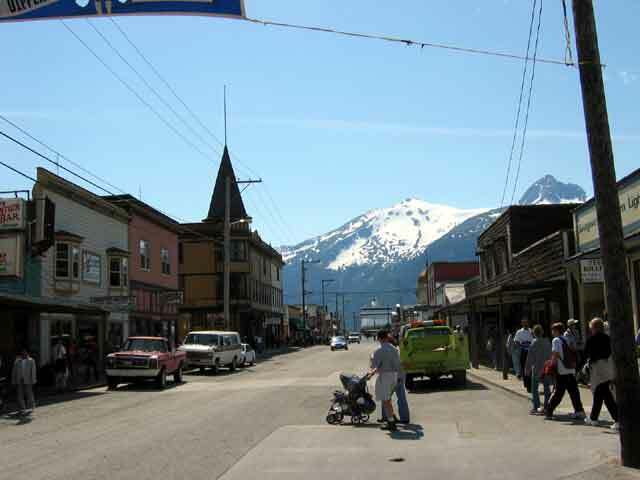 Skagway played a pivotal role in the Klondike Gold Rush of 1897-1898. During that period of several months many thousands poured through this town on their way to Dawson City and the Klondike gold fields more than 500 miles away. Things were so difficult that less than half of those who arrived in Skagway actually made it to the gold fields. Skagway was a rough town in those days. It had more than 70 saloons, shootings were common and the town was controlled by organized criminals. This was all cleaned up when the railroad came to Skagway in 1900, too late for the gold rush. Skagway is a small town with a year round population in the 800s. During the summer it is a major tourist destination, primarily from cruise ships. It is not uncommon to have eight or nine thousand tourists in town on any single day.